The lure of gold promptly made California the most culturally and racially diverse society the world had ever known - tensions were bound to arise. In 1849 many people came to California to “strike it rich”. Who were they? Where did they come from? What did they find? Would you have taken the journey to find gold? As you look at these photographs, think about the stories they tell. What is happening in these pictures? What questions do you still have about people who experienced California's Gold Rush? Explore these resources to discover the answers to your questions and to learn more about the Gold Rush. The Web Inquiry Project described below asks students to take on the role of historian, exploring the lives of people who came to California in the era of the Gold Rush. The following list of questions are intended to have the students really think about the relationship between the California Gold Rush and the various groups of people who were affected by it. Who were the gold miners? What was the population of each group? How did the miners get along with each other? How did the miners affect each other? What was life like in the mining camps? Was it the same for everyone? Did they “strike it rich”? Were they driven to make money in other ways? Was it by choice or necessity? How was life in California different? Describe some examples. How did they contribute to California ? 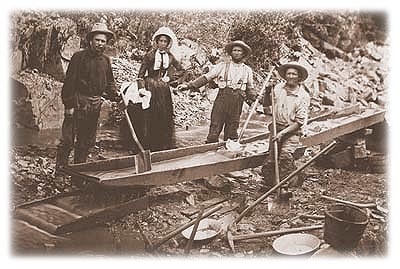 The web resources Chasing a Dream, Gold Rush Diversity, Natives and Immigrants, and American Memory will help students gain a general understanding about the people of the Gold Rush. Some of the data students will find are photographs, sketches, timelines, and narratives. 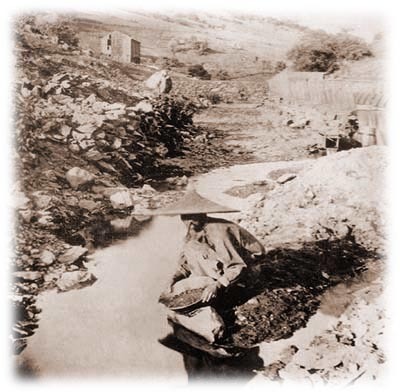 James Marshall - announced the discovery of gold, began "Gold Fever"
Students will also need to be provided with additional websites that will provide further information on each group of miners. For a more detailed description on these websites and the collection of this data, see the Analysis section. Students will use the KWL charts before they research to organize ideas and information. They will revisit it at the end of their investigation. Students will use Prove It Charts to document their findings as they research. Please note that the inquiry is not limited to the sample categories listed above. You may want to encourage students to research different or additional groups not mentioned in the list. By using the provided resources, students are expected to present the information in a way that accurately represents what they have learned. This may include the tools listed above or any additional methods. Students should have freedom to generate their own ideas and connections. Their findings may not represent the samples we have provided below, but they need to provide insightful investigation into the topics discussed..
How did the California Gold Rush affect the diversity of California today? 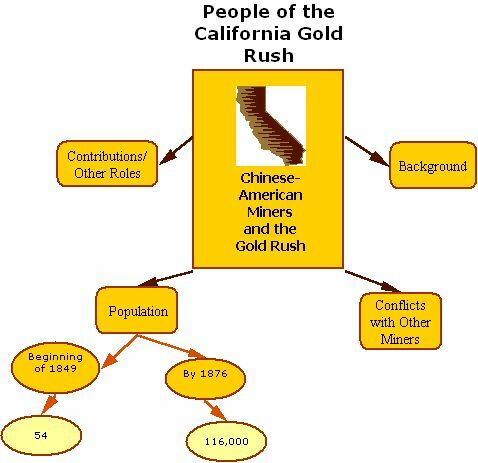 What do you think would have happened to California if the Gold Rush never occurred? Would explorers continue their westward expansion?